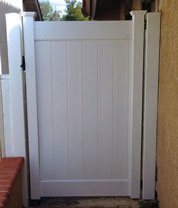 J&J Vinyl Fencing has provided North Hollywood home and business owners with fine quality vinyl and aluminum fencing and gates for decades. 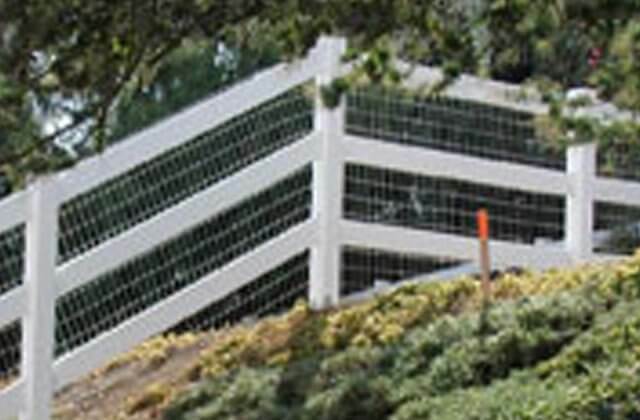 Our parent company, J&J Fencing, has served the South Bay and all of Los Angeles County since 1978, and has over 35 years of experience in the fencing industry. Over the years, we have provided our expertly crafted vinyl and aluminum fences and gates for thousands of satisfied clients, who appreciate our company for our commitment to providing competitive pricing and excellent customer service, as well as for the fact that we stand behind our vinyl and aluminum fence and gate installations with a lifetime warranty. 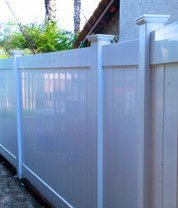 At J&J Vinyl Fencing we offer our vinyl and aluminum fencing to North Hollywood home and business owners in a wide selection of fence designs, as well as a choice of fence heights and colors. Both vinyl and aluminum fencing serve as more durable alternatives to their wood and wrought iron counterparts. While vinyl fencing possesses the look and design possibilities of wood fencing, it will not deteriorate over time as a result of exposure to the elements as wood fencing will. Similarly, aluminum fencing looks just like traditional wrought iron fencing, and is available in many of the same styles. However, aluminum is not a ferrous metal like iron, and as such, is not subject to rust and corrosion. For this reason, aluminum makes a far longer lasting fencing material, and does not require the continual upkeep that wrought iron fencing does. Trust our fencing specialists to design and install a durable vinyl or aluminum fencing system which will accent both the architectural style and also the value of your North Hollywood home or business. Contact J&J Vinyl Fencing today. We offer free design consultations and estimates to North Hollywood, the South Bay, and the greater Los Angeles region. We accept all major credit cards and checks as payment, and offer a 10% discount to all new clients. J&J Vinyl Fencing is licensed, bonded, and insured. At J&J Vinyl Fencing, our clients who choose to install vinyl fencing do so because they want the look and design possibilities of wood fencing, without the ongoing maintenance concerns. Wood fencing is subject to splintering, cracking, and warping due to exposure to the elements, as well as dry rot and termite damage. But with vinyl fencing, none of these issues is a problem. In fact, vinyl fencing is virtually maintenance free, and never needs painting or sealing. It is available in a wide selection of attractive designs and a choice of colors, and is offered with a lifetime warranty. Contact us today for a free estimate on a vinyl fencing system in North Hollywood. J&J Vinyl Fencing is licensed, bonded, and insured. Aluminum fencing is the durable alternative to traditional wrought iron fencing. It possesses the beauty and Old World charm of wrought iron fencing, but is far more resistant to the elements. Because aluminum is not a ferric metal, it will not rust or corrode when exposed to oxygen and moisture. This characteristic enables aluminum fencing to last decades longer than wrought iron fencing, and require little maintenance over its lifespan. In contrast, iron fencing requires the constant upkeep of its paint or powdercoat finish, because any little nick or scratch in this protective layer can leave the fence vulnerable, and precipitate the start of rust and corrosion damage. Rely upon the fencing experts at J&J Vinyl Fencing to design and install beautiful aluminum fencing at your North Hollywood home or business. We accept all major credit cards and checks, and are licensed, bonded, and insured. Vinyl privacy fencing is the durable solution for enclosing your North Hollywood pool or yard. It comes in a selection of attractive designs, both modern and traditional, as well as a choice of colors and fence heights. Vinyl fencing looks just like wood fencing, but possesses none of wood fencing's drawbacks: It will not weather due to exposure to sun, wind, and rain, and is impervious to dry rot and termite damage. 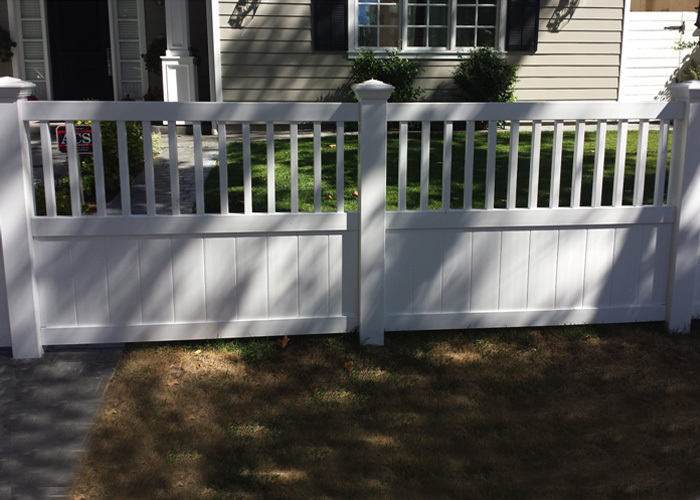 It never needs refinishing like wood fencing, and for this reason, is virtually maintenance free. At J&J Vinyl Fencing, our vinyl privacy fencing provides complete privacy, and features a click-and-lock assembly mechanism which allows for no spaces between the fence boards. This assembly mechanism produces a fencing system with excellent structural integrity, and which is able to stand up to high wind conditions. Contact us today, to schedule a free estimate on a vinyl privacy fencing system for your North Hollywood home or business. We look forward to your call, and the opportunity to enhance the architectural style of your residential or commercial property with a beautiful vinyl fencing system. 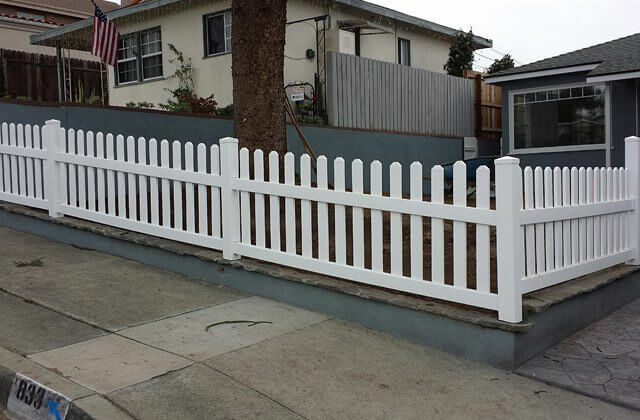 Let J&J Vinyl Fencing work with you to design the ideal vinyl picket fencing system to accent the look of your North Hollywood residential or commercial property. 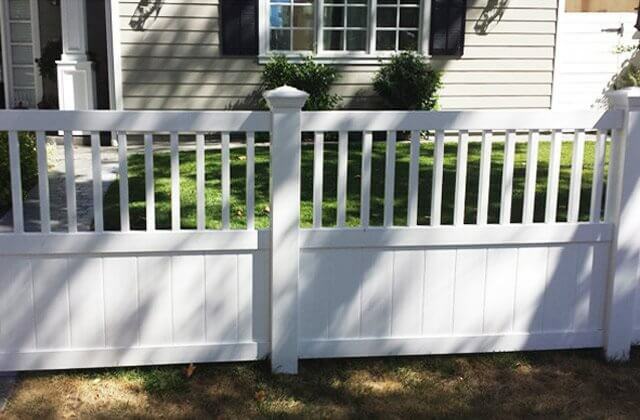 Our picket fences are available with scalloped, arched, or stepped fence tops, as well as "contemporary" styles constructed to include a top rail. 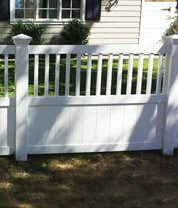 They come in a choice of fence heights and vinyl colors, and are backed by a lifetime warranty. 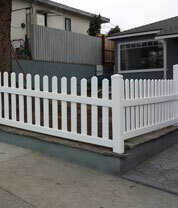 Vinyl fencing is the durable, maintenance free alternative to real wood fencing in North Hollywood. It has the look and design possibilities of wood fencing, with none of wood fencing's drawbacks. It will not deteriorate upon exposure to the elements like wood fencing, and will not crack, splinter, warp, develop dry rot, or become infested with termites. At J&J Vinyl Fencing, we offer North Hollywood a wide selection of vinyl ranch rail fence styles, in a choice of fence heights and vinyl colors. Our ranch rail fences come in two rail, three rail, four rail, and cross rail designs, and are extremely durable and low maintenance. Rely upon J&J Vinyl Fencing to help you design the perfect ranch rail fencing system to fit your needs and also your budget. 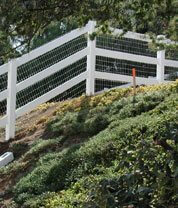 J&J Vinyl Fencing is licensed, bonded, and insured, and serves the South Bay and all of Los Angeles County. Contact us today to schedule a free onsite estimate. Both vinyl and aluminum are ideal materials for constructing stylish, long lasting, and affordable entry and access gates. 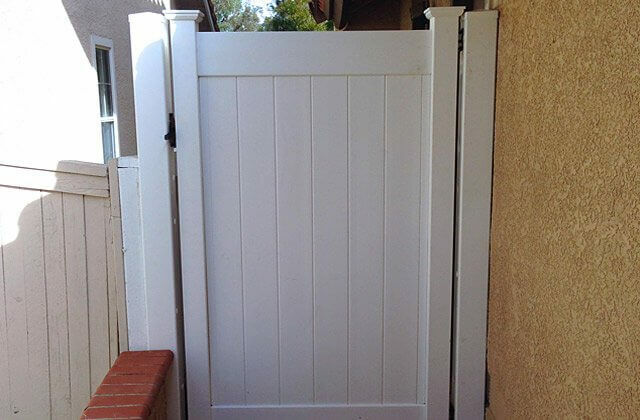 At J&J Vinyl Fencing, our gates are available in a variety of traditional and contemporary designs to complement the architectural style of your North Hollywood home or business, and can be motorized and equipped with the latest access control systems developed by such leading manufacturers as Viking, DoorKing, and Elite. These access control systems can be programmed to operate through a keypad, remote transmitter, or your smart device, and are the ideal way to make access to your business or residence both convenient as well as secure. 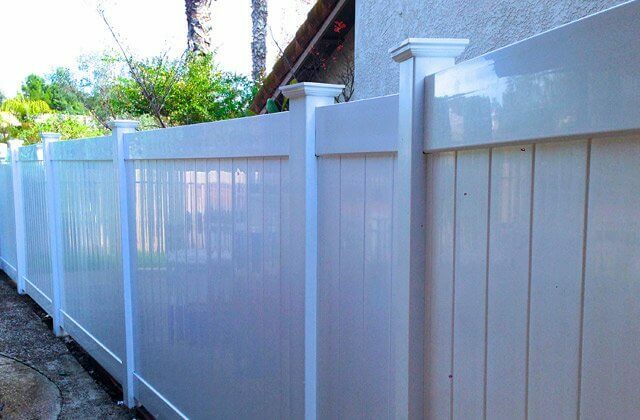 Trust J&J Vinyl Fencing to design and install a durable vinyl or aluminum fencing system at your North Hollywood home or business which accents both the look and value of your residential or commercial property, and to do so at a very competitive price. We stand behind our vinyl and aluminum fencing systems with a lifetime warranty, and offer all new customers a 10% discount on fence installation. Contact us today. We offer free estimates to the South Bay and all of Los Angeles County, and look forward to providing you with the best value around in premium quality vinyl and aluminum fencing services. J&J Vinyl Fencing is licensed, bonded, and insured.